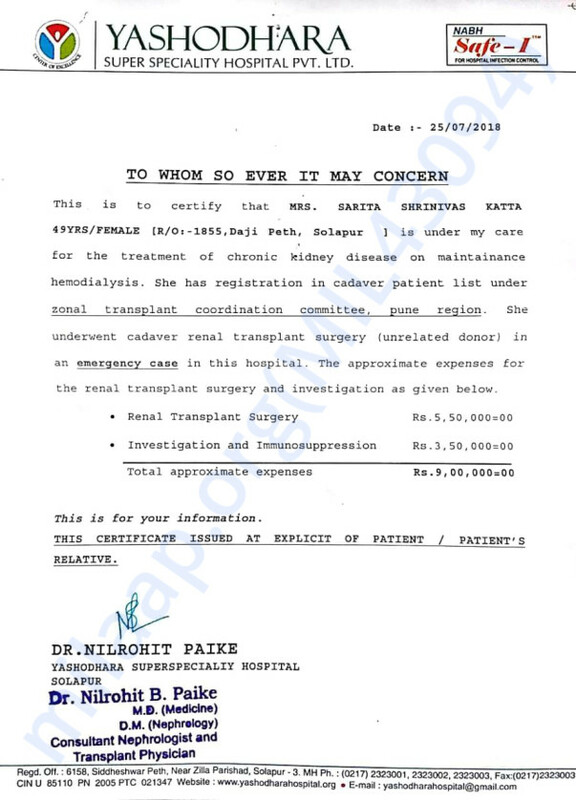 My mother Sarita Katta has underwent kidney transplant and the estimated cost is 9,00,000. This is an emergency cadaveric transplant surgery. 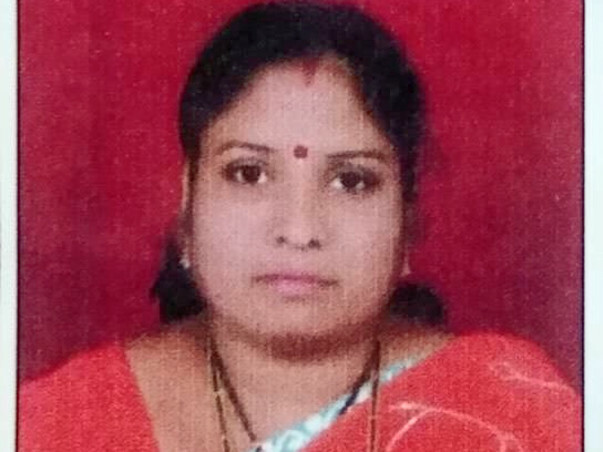 I am suffering from financial condition and in strong need of financial help. Please help. Thank you for the generous response to all the Donors who has raised their support towards this noble cause. Your help has certainly changed someone’s life. Finally due to God's grace and all of your blessings Mrs Katta has been discharged. She is currently going through medical checkup under medical on weekly basis. Thank you Milaap team for your constant support throughout this entire phase. Without you guys we couldn't ever raise these funds. 🙏🏻 Thank you for the generous response to all the Donors who has raised their support towards this nobel cause. Your help has certainly changed someone’s life. Mrs. Sarita Katta is steadily recovering and she is under constant monitoring by the hospital staff. The ICU charges are way too much to bear and hence looking forward for further support. We have successfully raised 55K till now and we are looking ahead to target 1 lakh by next week so that we can transfer this funds to the affected family.